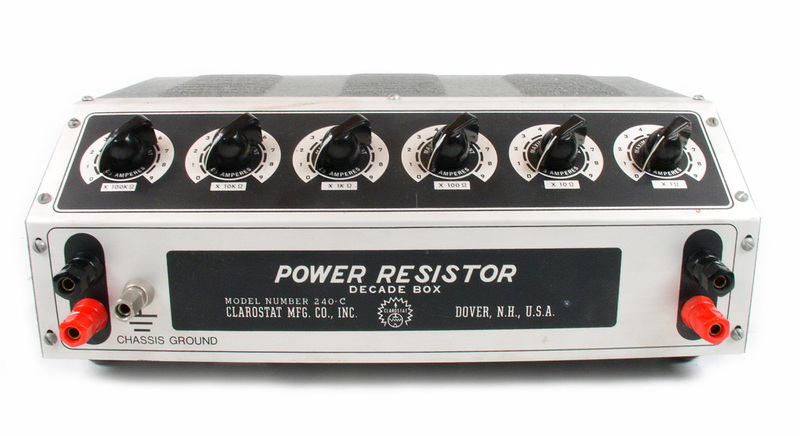 The Clarostat 240-C Power Resistor Decade Box provides a power resistor for any required ohmage from 1 to 999,999 ohms in 1 oh increments. The ohmage is selected or determined by six front panel dials, and the value is read directly-in sequence-from the dials, thereby simplifying the selection of known or unknown resistances for use in working circuits. Bench-top design, Model 240-C has been standard equipment in laboratories, engineering departments, plants, for maintenance and service personnel, schools and other users requiring accurate resistance determination under load conditions.